The first project to explore interdisciplinary art through performance, FormLAB-Mongolia was recipient of hte Fulbright-Hays US Public Diplomacy Award and CEC ArtsLink grant to lead a overland expedition and exhibit at Zanabazar National Museum in Ulaanbaatar, Mongolia. Also supported by the Mongolian Ministry of Culture, Arts Council Mongolia, the American Center for Mongolian Studies FormLAB worked with local artists and musicians in Ulaanbaatar and with a shaman in the Mongolian Border Region with Siberia. 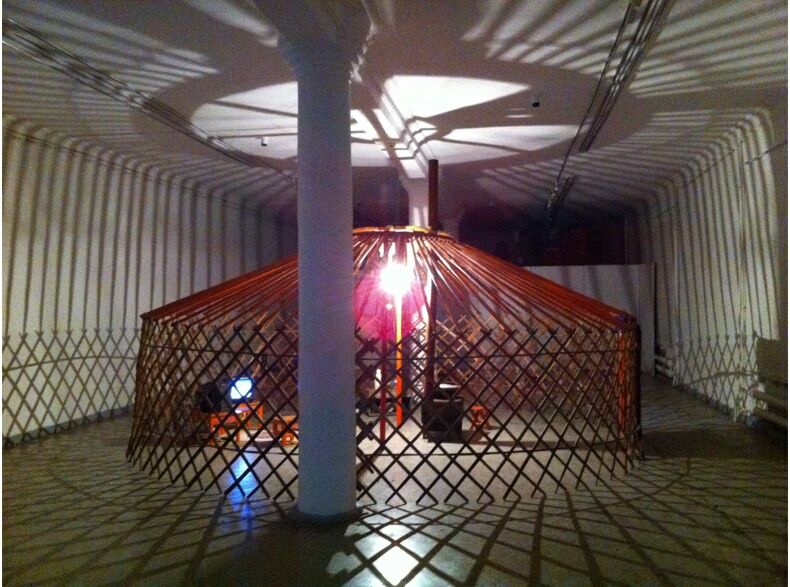 The artworks included the installation of a Mongolian nomadic ger within the museum in which FormLAB created interdisciplinary performances with contemporary rock musicians from Mohanik, Human Nature Love Freedom, Mugi, the plurivocal Xhoomi (throat) singer, the Mongolian dancer, Enkgerel and members of Mongolia’s artist group, Blue Sun. He led an overland expedition to the Restricted Border Region at Mongolia’s frontier with Siberia setting out with my cameraman, a guide and interpreter and a driver who took us to the flat Khovsgol herding region. FormLAB explored art-making in remote spaces especially how humans interfaced dwellings with spaces. A common feature in both urban and rural Mongolia is the ger traditional nomadic habitat of rural Mongolians. 1996-2019 All Rights Reserved &COPY; FormLAB, Les Joynes Joynes LLC, ARS, New York and DACS London. 1996-2017 &COPY; FormLAB, Les Joynes Joynes LLC, ARS, New York. All Rights Reserved.